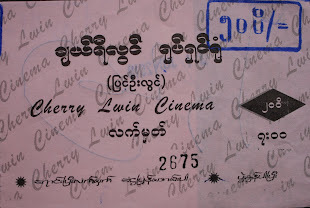 In the days before the corporate world came to reign supreme over the movie exhibition business, movie theaters had a whole lot more character than they do today. 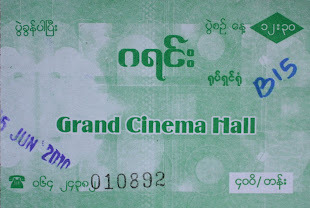 That goes for just about everything from the architecture of the theaters themselves, right down to the tickets they sold. 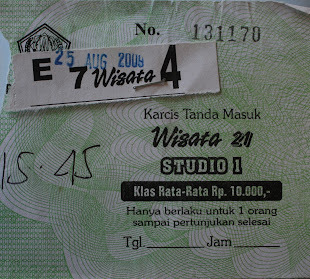 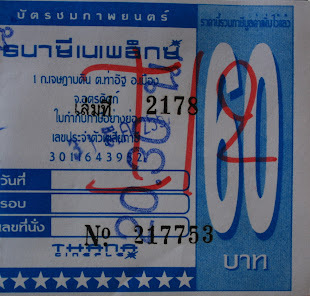 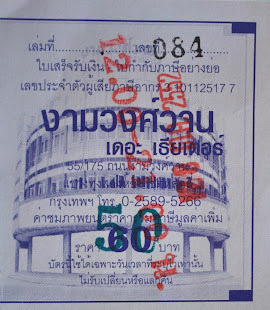 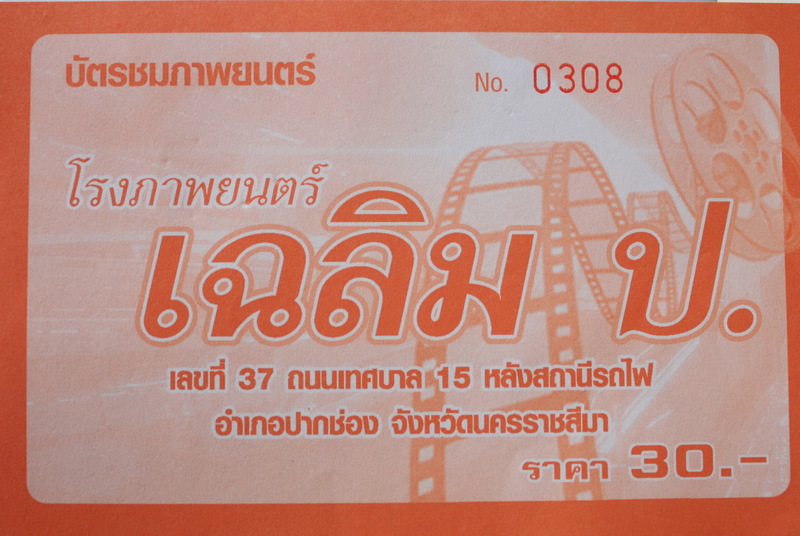 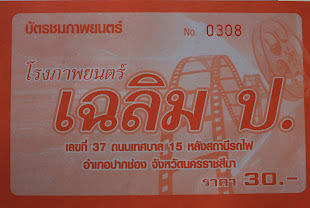 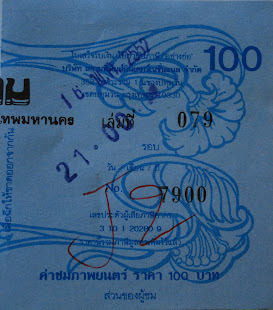 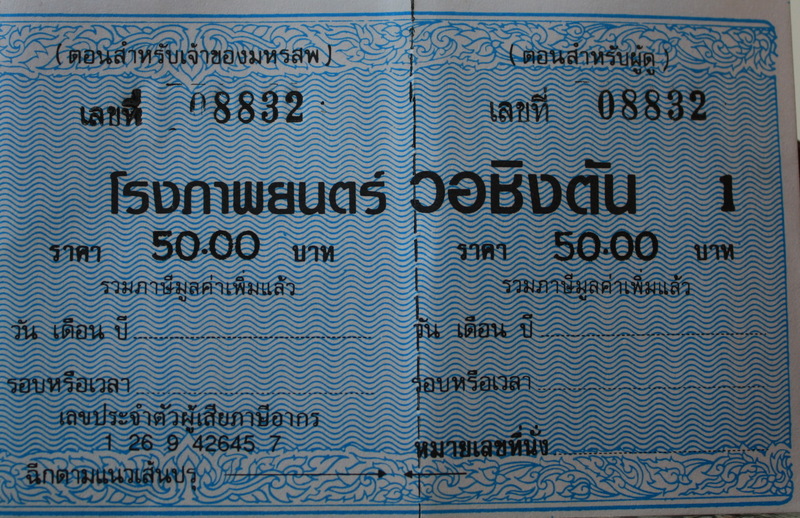 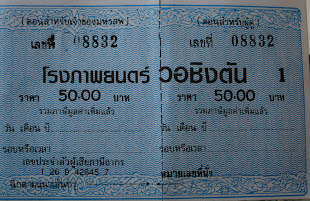 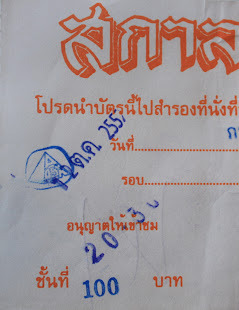 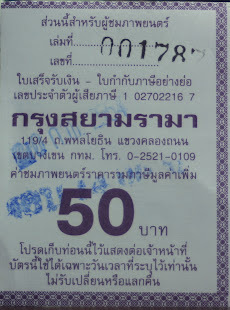 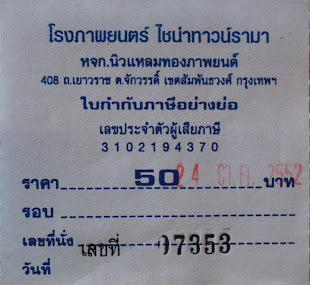 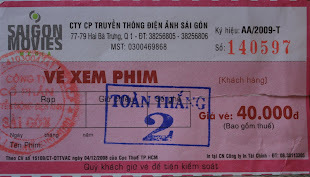 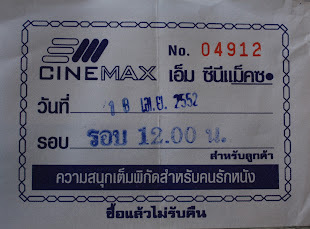 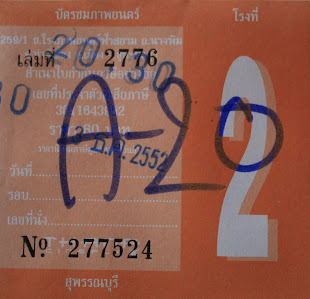 Speaking of tickets, it wasn't so long ago that tickets to movies in Thailand had a real charm to them. 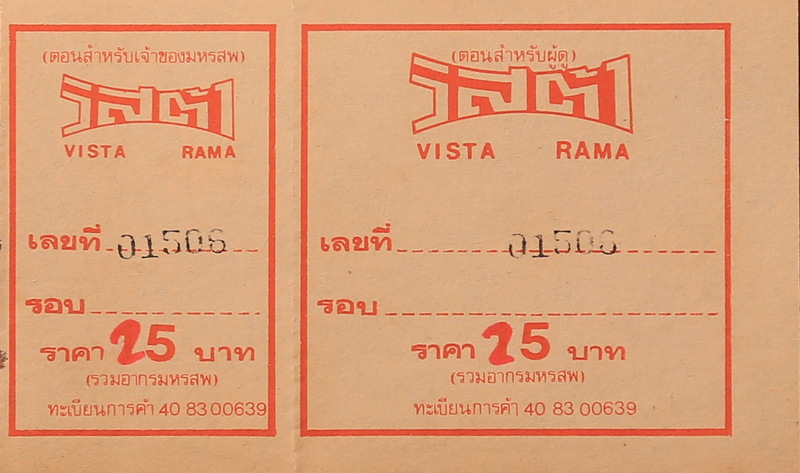 While some distinguished their theater's tickets by using very basic patterns, others were minor masterpieces designed by professional artists. 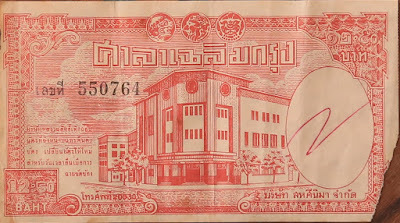 The best of them were so finely detailed that they resembled actual currency, utilizing the same intaglio printmaking techniques that is indeed used in the design of money. 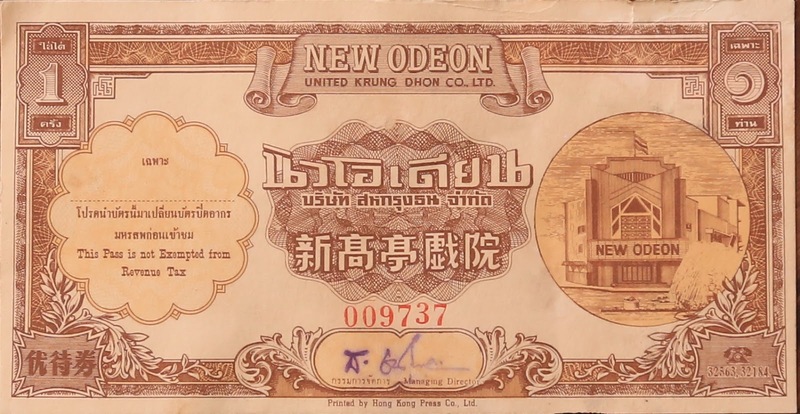 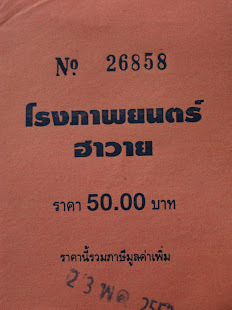 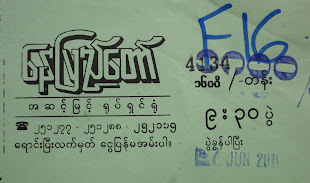 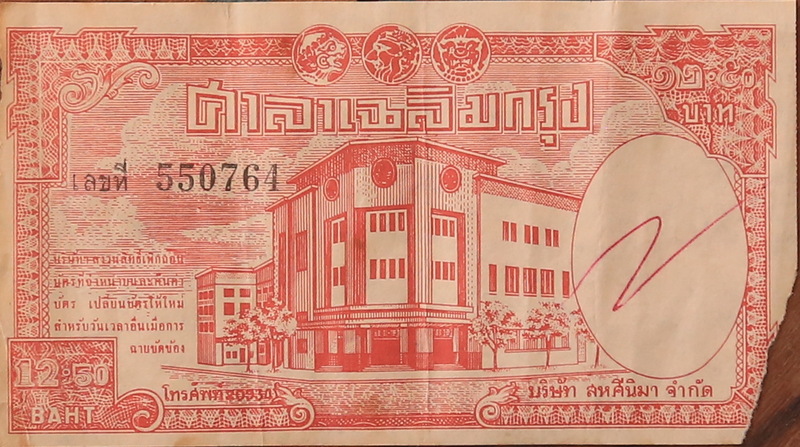 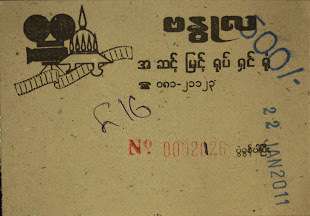 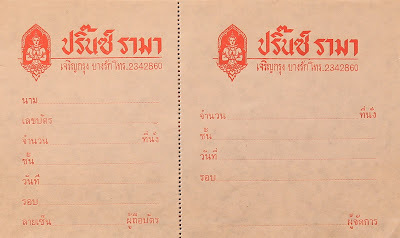 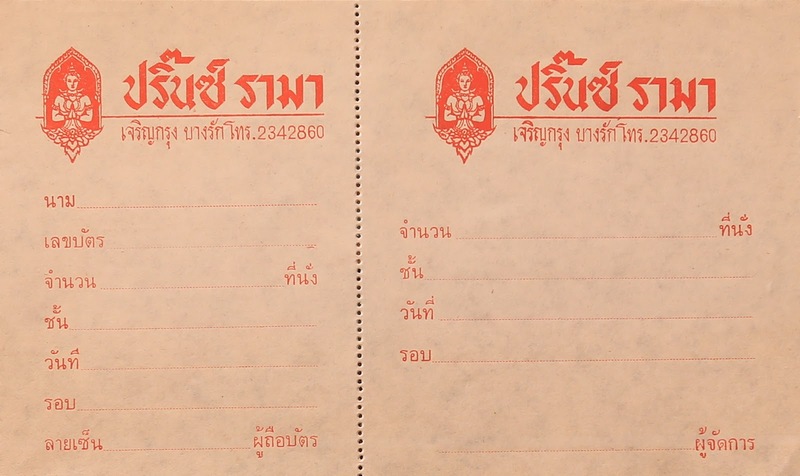 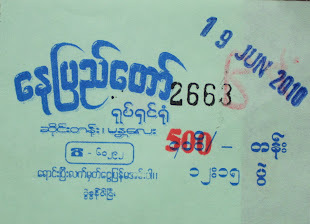 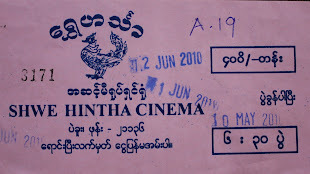 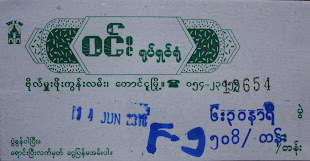 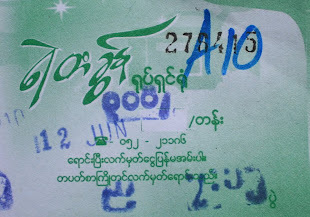 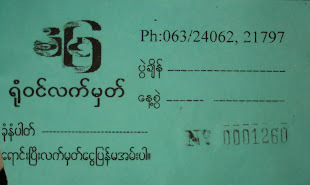 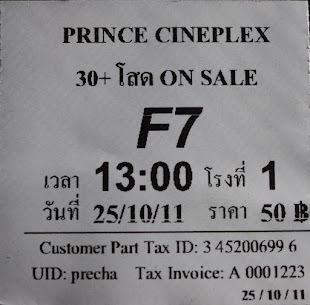 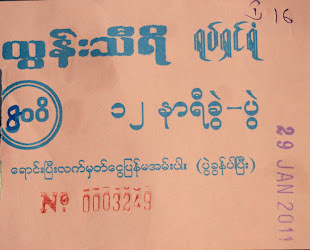 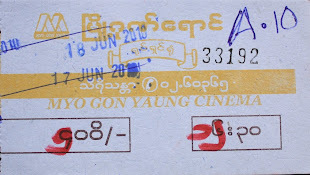 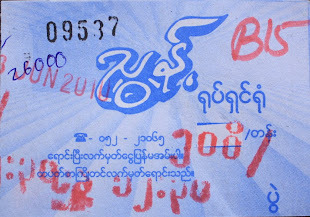 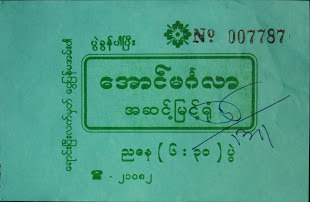 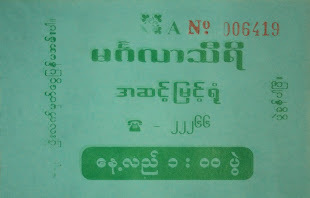 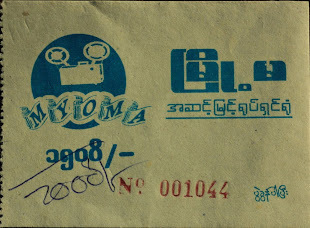 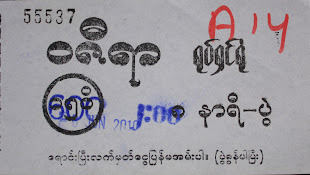 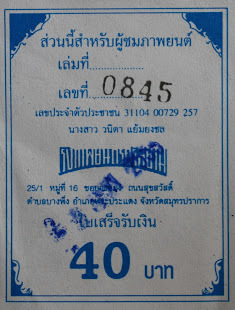 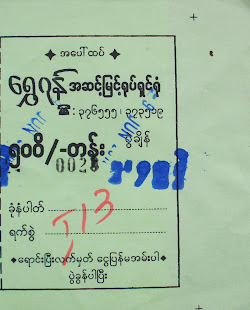 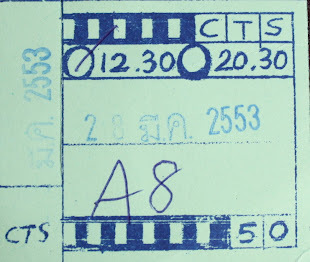 For those accustomed to the computer printed tickets that are now the norm at Thailand's omnipresent multiplexes, let the collection below prove that there was once much more to this piece of ephemera than mere corporate logic. 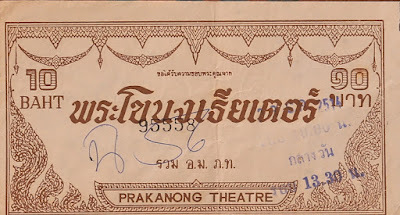 The Prakanong Theater - Bangkok. 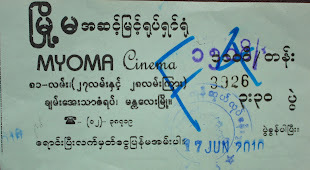 The two tickets for The Odeon Theater pictured above and below were free entry tickets. 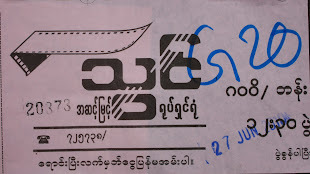 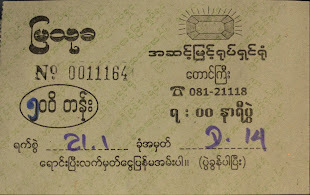 The theater manager's actual signature can be seen written in purple ink. 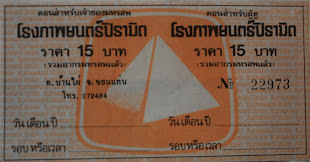 They are likely from the 1950's or 60's. 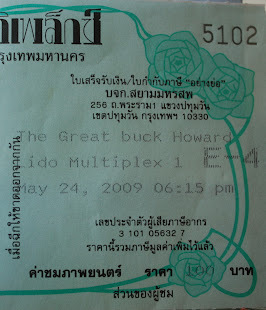 Speaking of The Capitol Theater, I took the logo from the ticket above and printed it on a t-shirt. 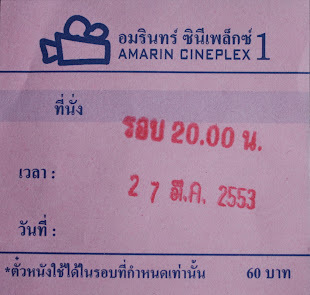 I've been selling that t-shirt, pictured below, to raise funds for more research and photography of Southeast Asia's dwindling stand-alone movie theaters. 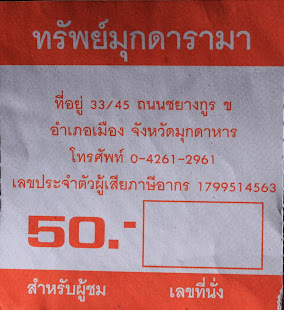 So if you want to grab yourself a nice T and support a starving photographer at the same time, this is your chance. 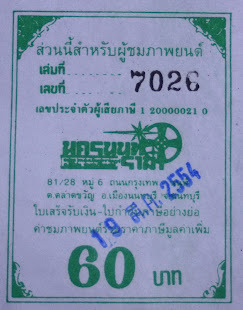 Each Capitol Theater t-shirt is $15 (free shipping if you're in Thailand). 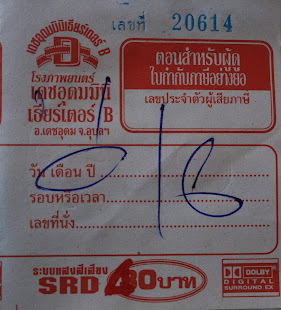 If you're outside of Thailand the shipping is an additional $15 dollars (sorry, but international shipping isn't cheap). 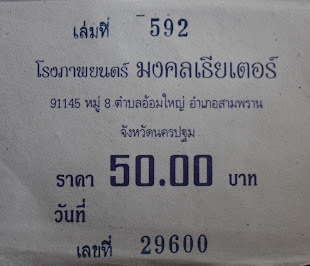 Unfortunately, I only have sizes L and XL left in stock. 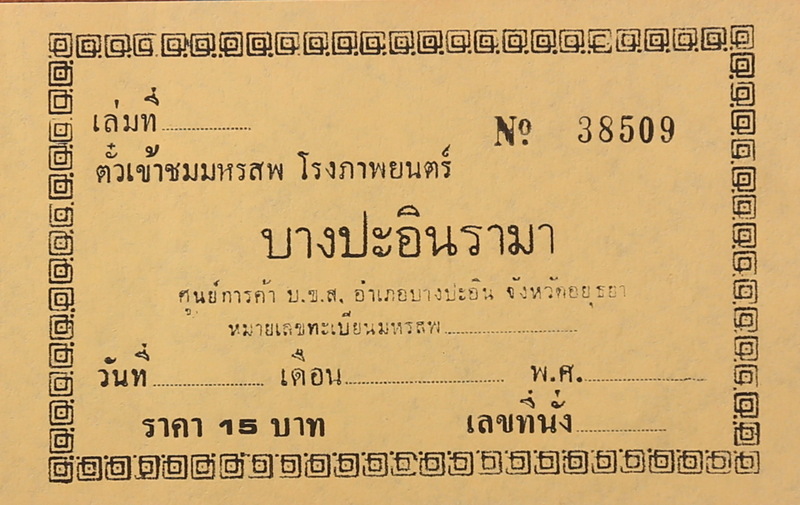 Click on the PayPal button below to get yours today. 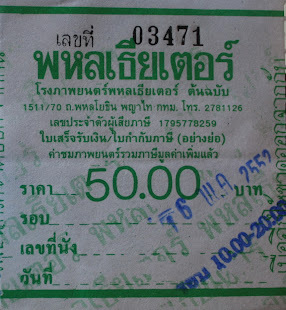 Ranong is the only province in Thailand's south that still projects a frontier character. 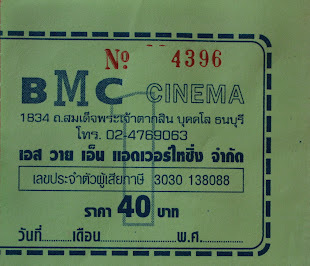 From a few choice angles it feels almost as if the choke of the jungle was hacked away just a few years prior. 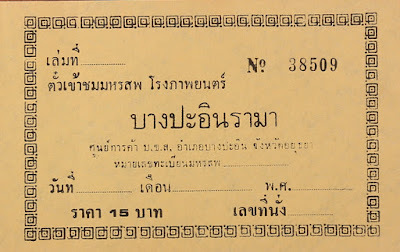 There's a well warranted historical precedent for Ranong's frontier quality. 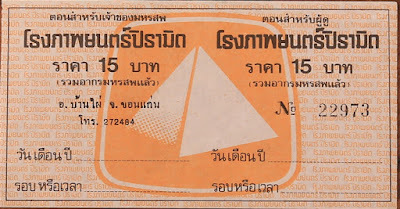 Besides having an active border crossing - a frontier in the most literal sense - from the late 19th up into the early 20th century, the province's economy was centered on a series of tin mines. 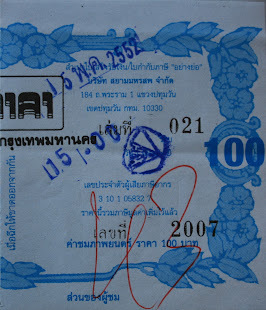 Labor intensive extractive industries of that caliber attracted a particularly grizzled type of settler. 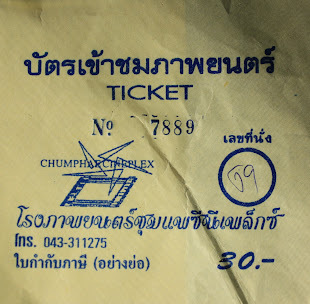 From the back breaking labor of those mostly Chinese migrant workers, a slice of modern Thai civilization was born. The tin mines are now long gone, but the town that they helped spawn is still present in its narrow lanes and stoic old shop houses. 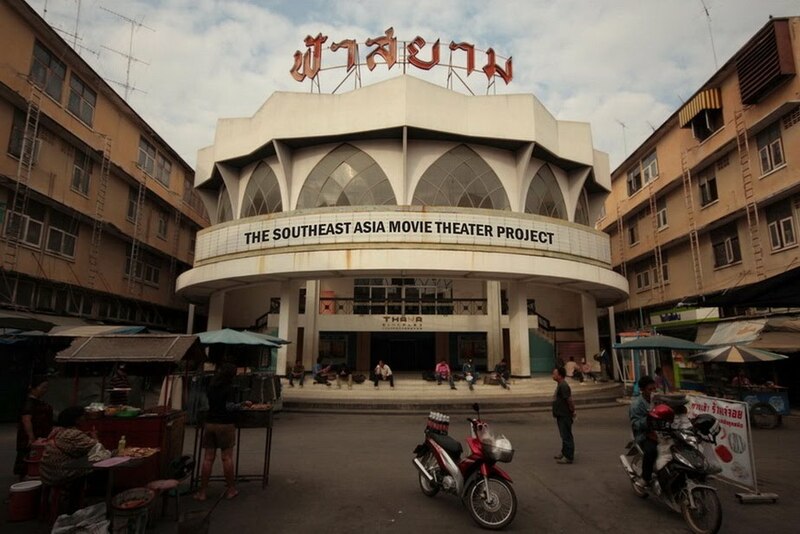 And much to the delight of this photographer, a trio of old movie theaters are still standing. 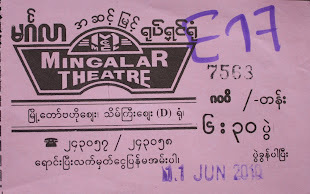 The most notable of them being The Pruttinan Theater, featured in this post. If there were an award for the best Brutalist movie theater in Thailand it would easily go to The Pruttinan. 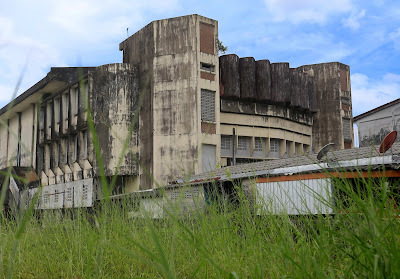 This beast of a building has been tantalizing me since I first came across a photo of it 7 years ago in an online forum. 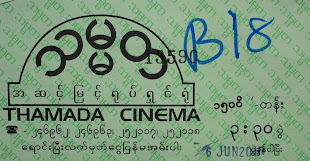 Said photo depicted the theater while it was still in operation, with its dimensional signage perched just above its concrete roof line. 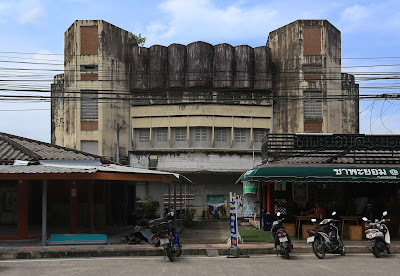 The signage has since been removed, detracting a bit from The Pruttinan's provenance, but not so much as to damage its general Brutal aesthetic. 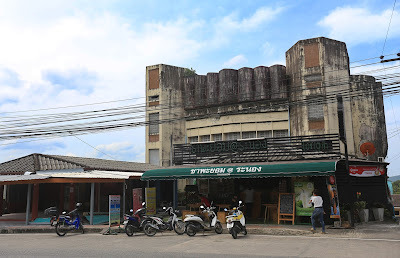 The Pruttinan is a free standing building towards the northern end of Ranong's main commercial street. It's hulking, Brutalist girth combined with its stand-alone placement give off a fortress quality. 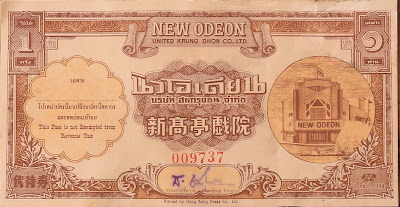 If one didn't know better, it might be mistaken for a modern day castle, built by the descendant of a tin tycoon or something. 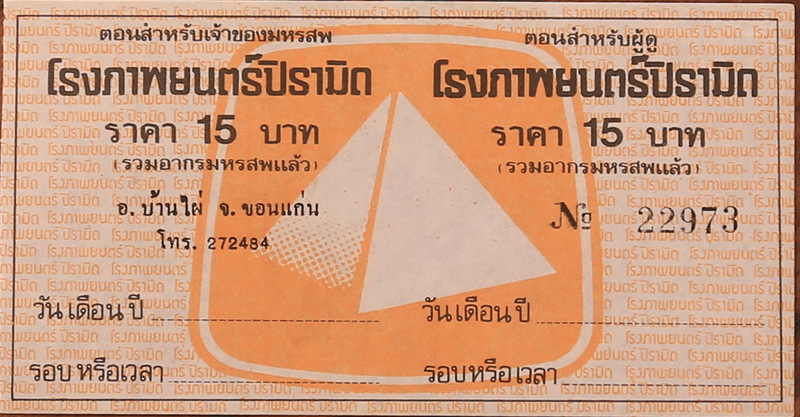 I forget the exact year of The Pruttinan's construction, though I know it was sometime around the turn of the 1980's. 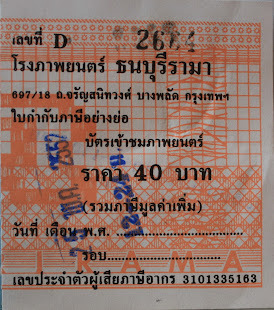 That's right about when car ownership started to become a staple of the Thai middle class. 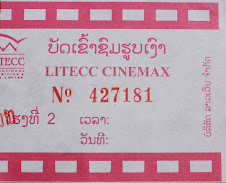 With that in mind, the Pruttinan was designed with a large parking garage beneath the auditorium, giving it a competitive advantage over the 3 other theaters in town in terms of access. 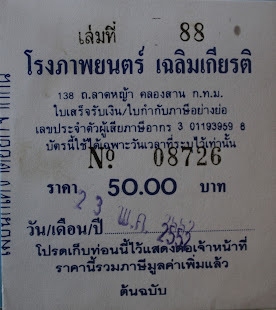 But alas, even such modern conveniences couldn't keep it from going under. 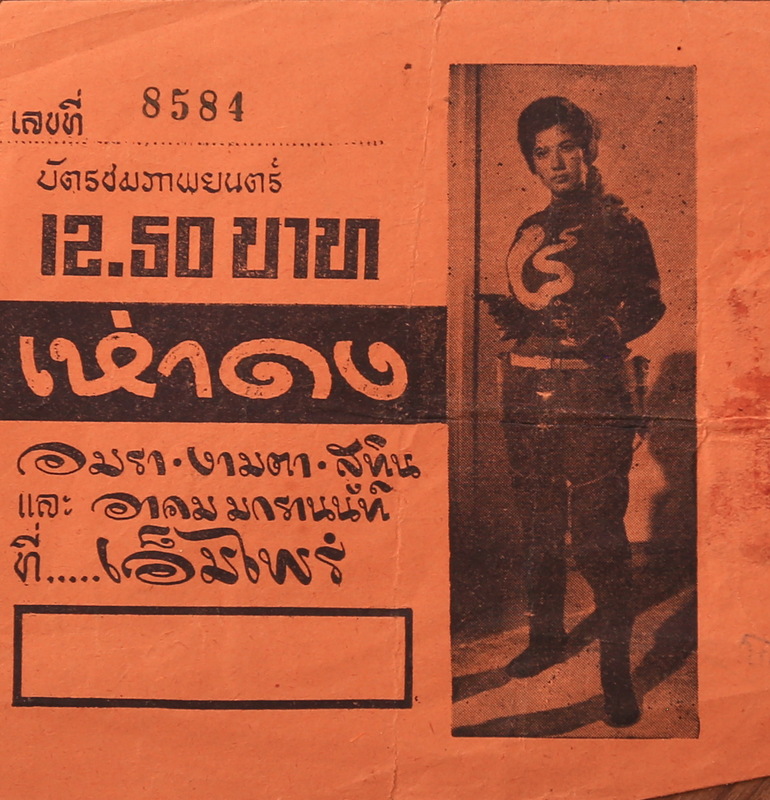 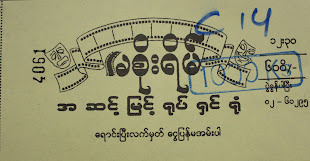 In its final years, The Pruttinan was managed by Coliseum Films, southern Thailand's main movie distributor. 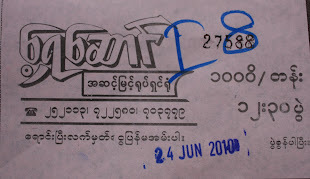 It closed down while under their helm in about the year 2000. 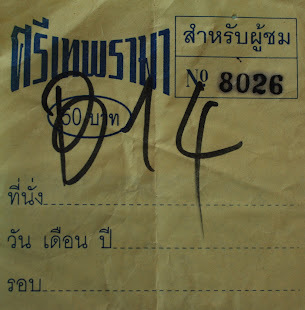 It's since been converted into a swiftlet nesting house.